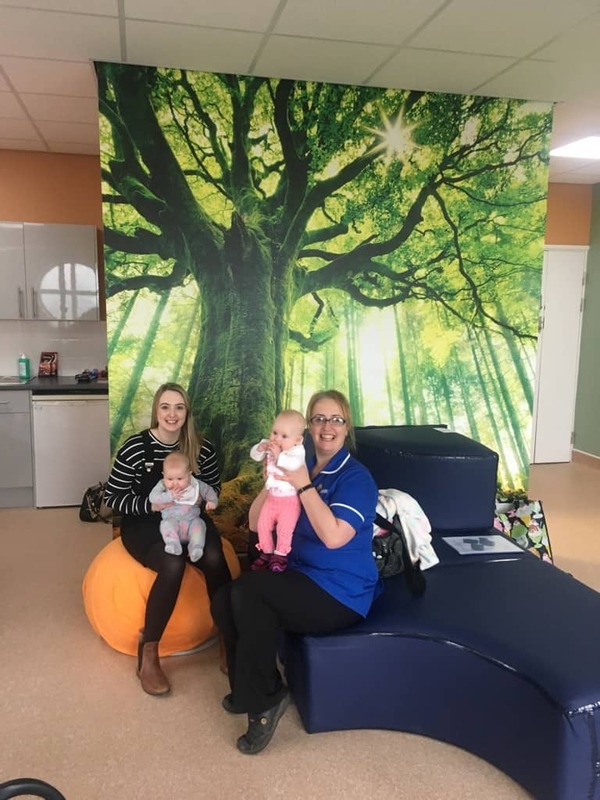 Cheshire and Merseyside has recently opened a ‘pop-up’ freestanding birth centre on the Wirral a great innovation, as there were previously no freestanding midwifery-led units in the region. This has been one of our ambitions as a Better Births ‘Early Adopter’. For the last 18 months I have been the Lead Clinical Midwife within the Women’s and Children’s Partnership known locally as the Improving ME Programme, which translates to ‘Improving Maternity Experiences’. We wanted to ensure that all four places for birth were available within Cheshire & Merseyside, but we didn’t have any local experience or commitment to using freestanding midwifery units (FMUs) to build on. There were many other barriers making this innovation more difficult, not least the financial pressures currently facing the NHS. None of the provider organisations were in a position to invest in an FMU without a pilot or a trial being undertaken first as a ‘proof of concept’. In fact, there was an initially reluctance to even discuss the idea, with the strong message being shared that “the women of Cheshire & Merseyside do not want to use an FMU”. My answer to that was “How do they know if they don’t even have it as a choice option? In my experience when women have choices they usually use them”. I was repeatedly told that there is a strong cultural feeling that the women of Cheshire & Merseyside do not want anything other than a hospital birth. Fortunately, I had experience to draw on from a previous role in Cheshire that proved otherwise. In 2009, while working as the Deputy Head of Midwifery at Mid Cheshire Hospitals, I led the setting up of a bespoke Home Birth Team which in its 18 months saw four passionate midwives booking 10% of all their women onto the home birth pathway and birthing 6% of the women at home. Hence my view that women will choose midwifery care pathways for out-of-hospital birth if the choice is available to them. My experience tells me that when such choices are available, and presented as a positive option by proactive midwives they can get to know and trust, women often chose them. With that in mind, and armed with the Birthplace in England evidence and the policy support of Better Births, the Improving ME team put together a bid to be an Early Adopter. Our bid was successful. This opportunity provided us with some funding to invest and test new initiatives to implement the vision of Better Births. In the bid we shared the belief that if we provided a well-designed FMU service the women would come, we created and described the idea of the ‘pop up’. The idea of the “pop up” is that it is a feasibility study to find the optimum location for one or more freestanding birth centres and test the concept as to whether women will use it. Our aim is to find the best community location and design a service that is attractive to women and families so that in a year or so time we will have evidence to show the providers that one or more permanent FMU is required in the region. Having the backing of the Early Adopter status is enabling us to test the concept. The opening of the first “pop up” saw the start of the evidence collection phase of the feasibility study and if successful will provide the evidence to support the business case required to build one or more permanent FMUs in Cheshire & Merseyside and to find out whether women in the area are interested in having the choice and want to use one. This approach minimises the risk to providers considering investing in a permanent FMU in the future. The “pop up” feasibility study is supported by the providers as it is cost neutral for them. The funding was provided by the Early Adopter element of the National Maternity Transformation Programme. This removed the biggest barrier and as such there was no reason for providers not to participate in this collaborative innovation. If, after 9-12 months, women are not using the facility in its first location, the plan is to move it and enable it to reopen, i.e. ‘pop up’, in a different location. 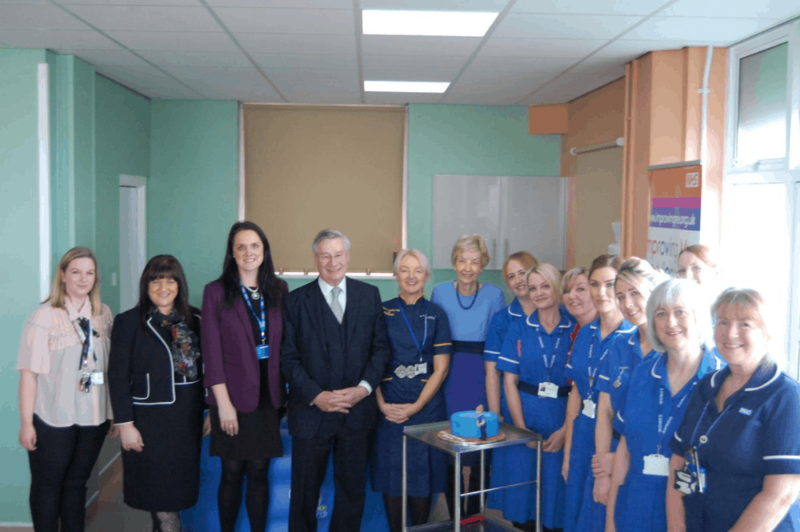 The first “pop up” has been a collaboration between the Improving ME Programme, Wirral University Hospitals NHS Foundation Trust (WUTH), Wirral Local Authority and supported by Wirral CCG. The maternity services at WUTH have simultaneously created a Continuity of Carer pilot team to work within the “pop up” and provide care for women wishing to birth their babies at home. 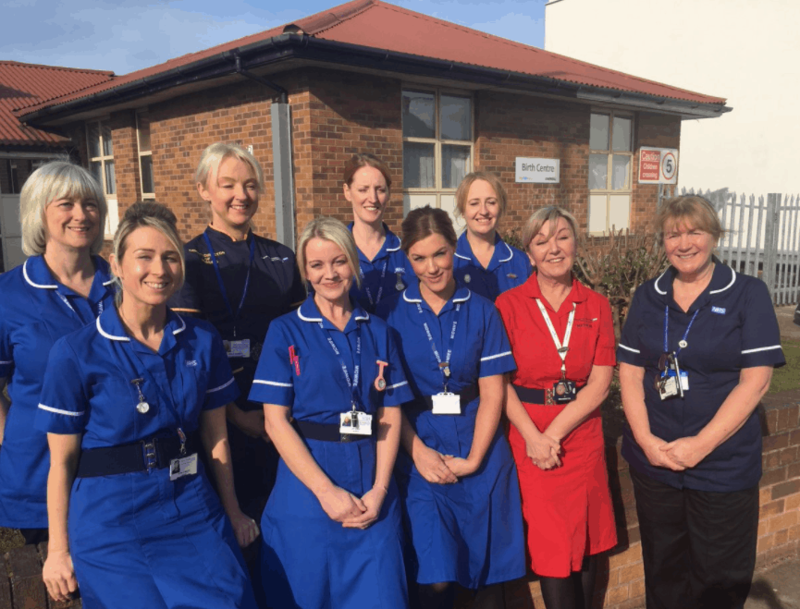 The team, known as the Highfield Birth Team, is made up of six passionate and dedicated midwives willing to try the concept of team continuity of carer. It is expected that each woman will have a named midwife but will have the opportunity to meet all the staff within the team throughout her pregnancy. Women are able to choose this option from booking or can transfer onto the team’s caseload during her pregnancy. When Baroness Cumberlege opened the Seacombe Birth Centre, as the first ‘pop-up’, at the Seacombe Children’s Centre in March this year she renamed it a ‘stay up’! This model of care provides access to a birthing unit in a local community setting so it is easy to access, familiar and low-key; potentially less intimidating in size and bureaucracy than larger obstetric units. At Seacombe Children’s Centre we are also testing the idea of a Community Hub where multiple services provide care in one community space. The health visitors are based at the children’s centre as well as other local authority services. It is a Sure Start Centre, offering baby massage, parent groups, paediatric clinics, antenatal booking appointments, antenatal care, postnatal care, parent education, hynobirthing and now birth. The values at the heart of the new facility include providing a truly personal service where women are empowered to exercise choice and that addresses the needs of the whole family. We aim to actively engage families and empower them through a real discussion on a range of birth choices. 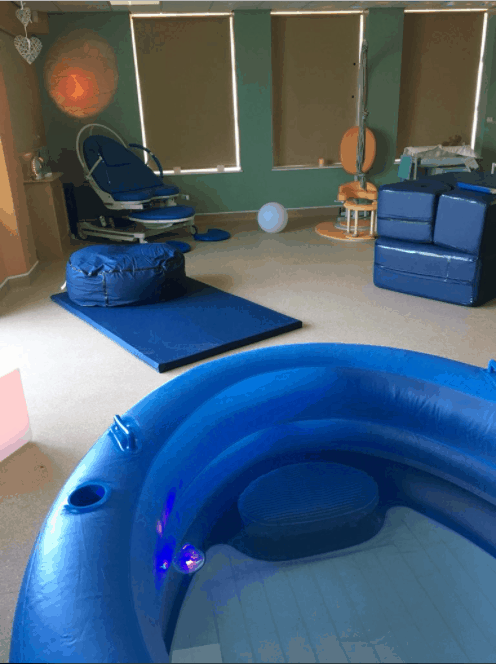 There is one large open-plan birthing room, with a variety of active birthing equipment available for use including a birthing pool, all aimed at optimising comfort, encouraging mobility and improving the experience of the women who chose to use the facility. Women usually go home a few hours after their baby is born once they are ready and rested after the birth. We don’t have facilities to enable women to stay for longer than a fewhours after the birthbut recognise that women and babies will be more comfortable in their own home environment as soon as possible after the birth. In practice most women prefer to go home after the birth when their experience has been good and they are confident and empowered by their birth experience. If a woman wants or needs an overnight stay she would be transferred with her baby to the acute trust Maternity Unit at Arrowe Park Hospital or an agreed package of care would be put in place for home visiting. After that, with our continuity of carer model, it is most likely that she would be seen by a midwife or a support worker 2-3 times in the following 24 hour period if she needs and or wants this. It is important to remember that women who use these facilities are fit, well and healthy and the safest place for them is generally in their own home. We need to make sure that the follow up support package is robust, and we believe that we have that covered. Women will have all aspects of the various care packages explained to them at the outset and be supported to make an informed choice about what is right for them. We are proud to now offer all four places of birth on the Wirral. We hope that women will use the FMU facility and provide evidence to support a viable business case for a permanent unit in future.